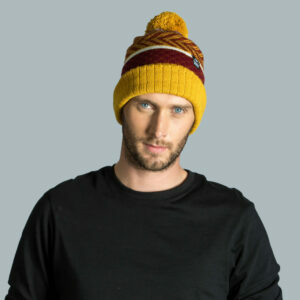 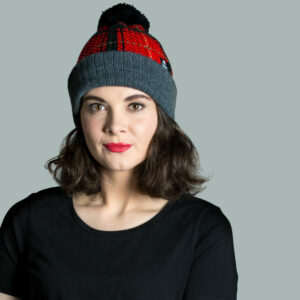 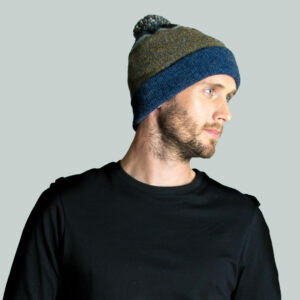 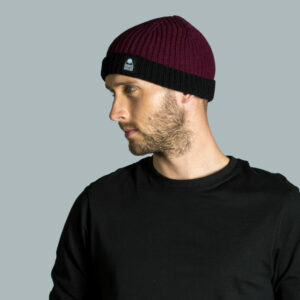 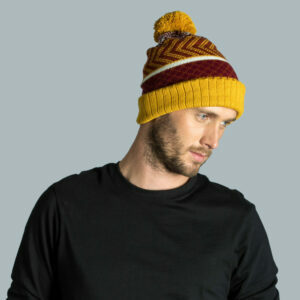 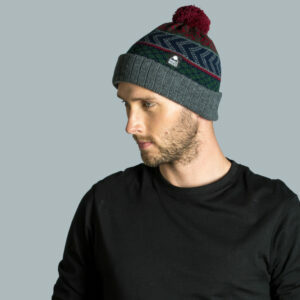 This Wonky hat is knit in a longer length, to sit in a slouch style on your head. 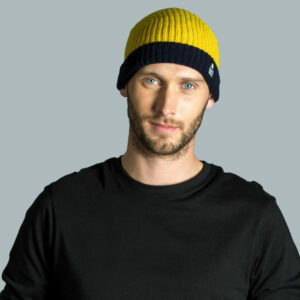 You can adjust the length by wearing the ribbed section rolled up or down. 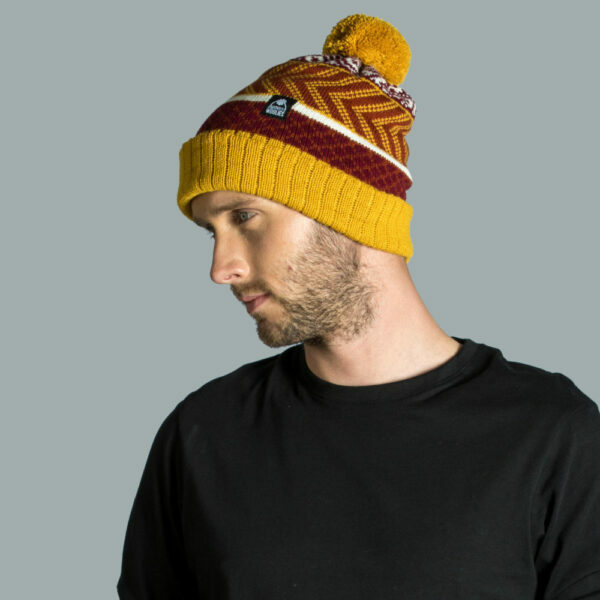 We’ve used warm mustard on the roll up and the pompom of this hat which also acts as a highlight in the chevron pattern section. 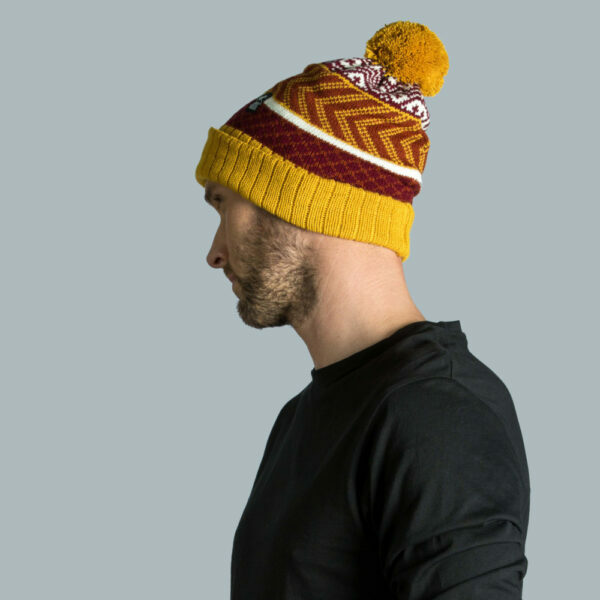 Burgundy and rust add depth as they are combined in the first section of pattern showing a cross-hatch design. 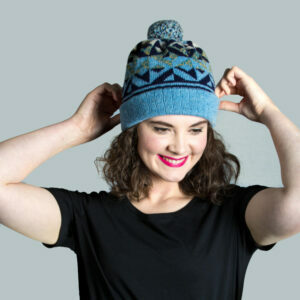 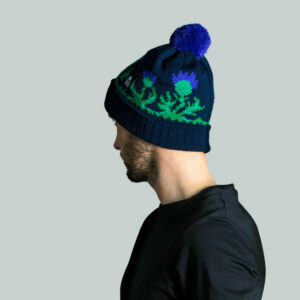 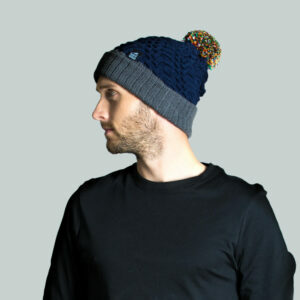 This hat is made with acrylic yarn that is soft against your skin and keeps colours bright. 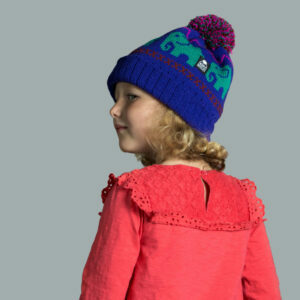 We’ve paired it with the long scarf to create a vibrant set of accessories.